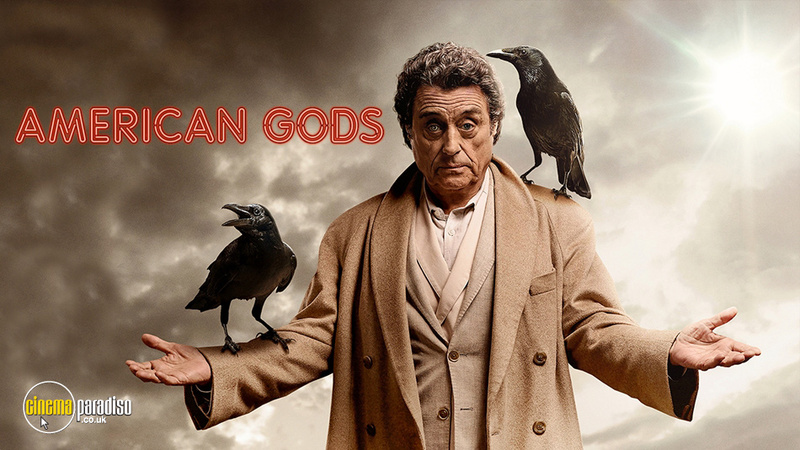 American Gods is a fantasy drama based on a novel by Neil Gaiman. The story centres around Shadow Moon, recently released from prison who starts working for a mysterious Mr. Wednesday (Ian McShane) after a strange encounter. As a result, Shadow Moon gets entangled in the rising conflicting between the Old and the New Gods, culminating in a great revelation. Ricky Whittle, Emily Browning, Crispin Glover, Bruce Langley, Yetide Badaki, Pablo Schreiber, Ian McShane, Jonathan Tucker, Demore Barnes, Betty Gilpin, Siobhan Fallon Hogan, Joel Murray, Beth Grant, John Tench, Sonja Smits, Richard Blackburn, et al. When Shadow Moon is released from prison, he meets the mysterious Mr. Wednesday and a storm begins to brew. Left adrift by the recent death of his wife, Shadow is hired as Mr. Wednesday's bodyguard. He finds himself in a hidden world where magic is real, where the Old Gods fear irrelevance and the growing power of the New Gods, and where Mr. Wednesday is building an army to reclaim his lost glory.